Penisular part of India is known for its Beaches and The gioan Beaches are well known for the entertainment and the relaxation it offers. Some of the beaches in Goa are for the youngsters to have fun and frolic and the others are suited for the relaxation as well as privacy. You can choose the ones you like and enjoy your vacation. Read through the article for the details about the various beaches in Goa. Beaches and the beautiful shorelines with their sparkling silvery sands are always welcome and that too particularly in the scorching summer months of India. That too beaches of Goa and Kerala, as well as Tamil Nadu and Andhra are well known and is the destination for the tourists all over the world. Goa with its alluring beaches, restaurantrs, hotels and reorts beckons tourists particularly during the Christmas and the new year vacation time. Tourists from all over the world flock in Goa during the X mas holidays. There is 125 kilometers of the Goan coastline which is dotted with numerous palm-fringed sandy beaches and offer the perfect destination for a romantic honeymoon or an ideal vacation. These Beaches can be classified in to Beaches in North Goa and in South Goa. North oan Beaches are crowded, noisy and funny with parties and carnivals held . There will be bands playing during the seasons and you can see markets flourishing in the beaches. Comparatively you can find the beaches in the South quieter, secluded and you can try out various adventure sports also. You can choose the beach you like to visit and book accordingly months before your trip because it gets very difficult to get hotel reservation. The rates differ from season to season. The peak seasonal rates are in December and January and you can get discounted rates in the off seasonal months. Arambol, Morjim, Chapora, vagator, Anjuna, Baga, Calanghute, Candolim, Sinquerim, Bambolim, Miramar and Dona Paula are the beaches of the district of North Goa. These beaches are more known than the beaches of the beaches of soth goa as lots of parties and carnivals are held here when compared to the others. These parties and carnivals, which are held mostly durring the Christmas and new year time entices lots of tourists and vacation travellers from all over the world. 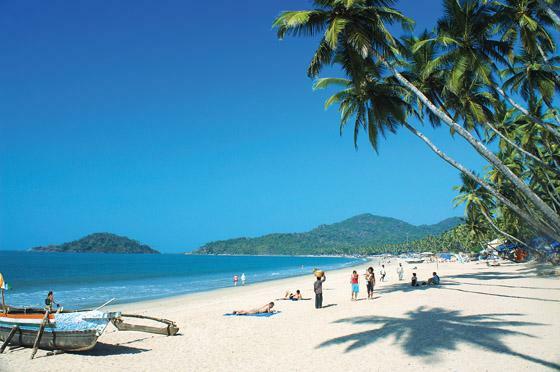 Bogmalo, Majorda, Colva, Cavelossim, Mobor, Varca, Benaulim, Canaguinim, Agonda and Palolem are the beaches in the district of south Goa. These beaches are relatively quieter and are heaven for the honeymooners and other with families who wants privacy and the need to stay away from the crowds. These offer the best of natural beauty as the beaches in south goa are less crowded and so gives you private and secluded ambience for your relaxation. 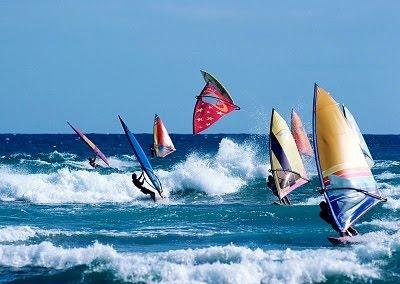 The beaches in Goa are ideal destinations for adventure enthusiasts as they offer very good options for water sports . You can try your hand at many of the water sports at the beaches in Goa windsurfing, dinghy sailing, scuba diving, jet skiing, water skiing, parasailing, water scootering and banana boat riding.